We've been absolutely blown away by The Legend of Zelda: Breath of the Wild on Nintendo Switch, awarding it the maximum of 10/10 in our review. As a game to introduce players both to a revolution in the IP and new hardware it delivers in spectacular fashion. Yet, of course, just like The Legend of Zelda: Twilight Princess it is straddling two generations of Nintendo hardware. In that Wii / GameCube showdown Link swapped hands and motion controls were the offering on the newer hardware - in this case with Switch we have the ability to play the game on the TV or on the go, and the perception has been that the Switch delivers the 'better' version on a technical level. Of course, plenty quite reasonably want to know about the Wii U version. When receiving our Switch unit and a copy of the game we asked about access to the Wii U game, but were politely told that the focus was on the Switch iteration; from Nintendo's perspective that was understandable, it had new hardware to show off. For Wii U owners not yet upgrading, though, it's understandably been a slightly frustrating state of affairs, with the system's iteration not really seen since a cameo in a gameplay demo during The Game Awards last December. Well, today we were provided with a Wii U download code by Nintendo, and it took a while to download it, wait for it to install and then wait longer while the same happened for the relatively large update that - likely similar to a Xenoblade Chronicles X equivalent - helps the system stream and process the large open world. We have, though, now had time to jump into the opening of the game. We'll play more and bring detailed impressions later this weekend, but we thought some initial reactions and screens were worth sharing at this stage. First of all, it's worth remembering that this game was, for the majority of its development, solely a Wii U project. 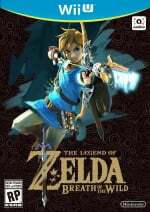 Just like with Twilight Princess, the amount of time it took to complete development led to overlap, prompting Nintendo to make the call last year that it would be a dual release. Right off the bat, then, we'll say that early on the signs are promising for an enjoyable experience on the Wii U. There's not been a huge improvement in the opening area since the E3 demo - performance wise - but it's an acceptable outcome. The 'stutter' effect that does occur in the Switch version (one of the game's few downsides) is more frequent on Wii U, as grass and effects cause additional disruption - but, it's not disastrous. As you can see in the images above and below [apologies for lighting discrepancies due to slightly different times in the game's 'day'], though, we're not exactly talking about an enormous gulf visually. The image is softer on Wii U, and initially there's a sense that the more basic textures stand out more than on Switch, but the overall effect is still rather pleasant. After a little while playing the comparable lack of sharpness becomes less noticeable as subconscious expectations shift. After all, it's the same underlying art style and engine, and Nintendo's flair for style over raw pixel count remains in place for this final hurrah on Wii U. In terms of control, too, everything's the same. Bear in mind that the inputs are identical, with just a few differences in button and stick placements; the GamePad is underutilised, as was expected, with the controller's screen simply instructing you to tap if you want to shift to playing solely on the pad. Same concept as Switch, then, albeit you need to be within throwing distance of the base Wii U console. To summarise the gameplay experience, based on the first hour or so of gameplay it's absolutely solid; though we feel the visuals and framerate are behind the Switch version, this is still an attractive Wii U game. The frame dips are a little more frequent, but the nature of the game and minor impact of these drops so far mean we don't mind terribly. It's not struggling all of the time either - for decent spells this title happily trots along at 30fps or a little below that. Forgetting the Switch for a moment, let's pretend we're in an alternate universe where the Wii U has sold 50-60 million units and has another year or two as the big N's premiere hardware. On that basis we're looking at a bold Wii U project that is stretching the hardware and pushing its capabilities. 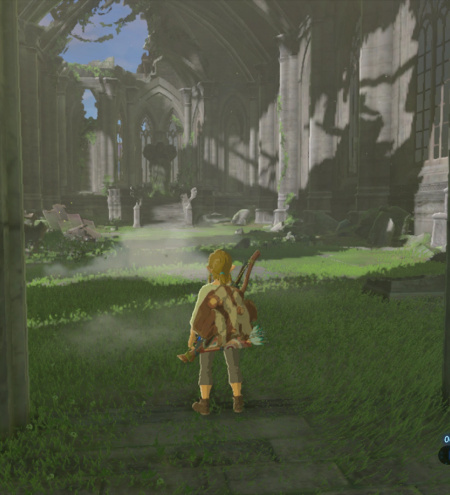 We sense the system is working hard to deliver a reasonable level of performance (which it largely achieves) - for example when you go to the HOME menu and return the game pauses and buffers / loads for a few seconds (that's with the game installed on the console's internal memory); this isn't the normal process with Wii U games. It reminds us a little of Super Smash Bros. for Nintendo 3DS on original models - the game runs fine, but it's stretching the hardware to the point that it has little room for niceties beyond simply running the software. Based on initial play, we can see that this is a version of the game that the development team worked hard on, and the staff were evidently passionate about delivering an impressive experience back when this was solely a Wii U title. Standing on its own it's an attractive, ambitious title that occasionally has performance hiccups - pretty much like every other console open-world game at launch, it could be argued. The Switch, which isn't entirely stutter free either, does offer - based on our impressions so far of the Wii U version - a cleaner image, a more consistent framerate and performance, and a more vibrant colourful experience (the Switch outputs full RGB range on a decent TV, unlike the Wii U). Yet let's also be clear on this, we haven't come away from our initial playthrough on Wii U waving any red flags; in fact, we're happy to do the opposite. We need to play more, testing the Wii U in more areas and different scenarios, but initially what we see is an impressive title on the system. We feel it's stretching the hardware's resources, yes, but the old gal is just about keeping up, and that's pleasing to see. 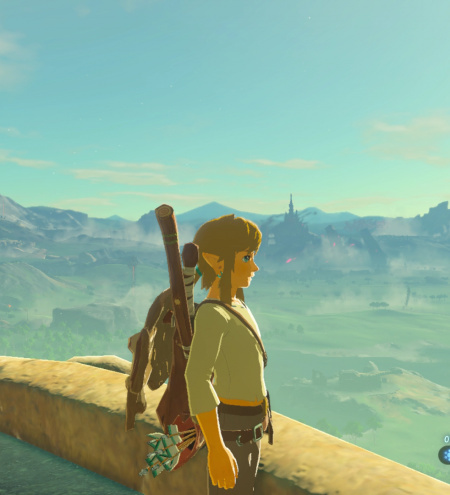 After all, this is a game that was made for Wii U, and right now we feel the console is delivering a welcome iteration of a Zelda title that could, perhaps, be regarded as the best of them all. We'll have more impressions, screens and hopefully video for you in the coming days. So is it getting a separate review? Hey how much space the game and the update take in the console? I just got it on Wii U. In fact I'm waiting for it to update. It's nice to know that its not that bad. Visuals aren't as good, yes, but it's not that huge of a difference. 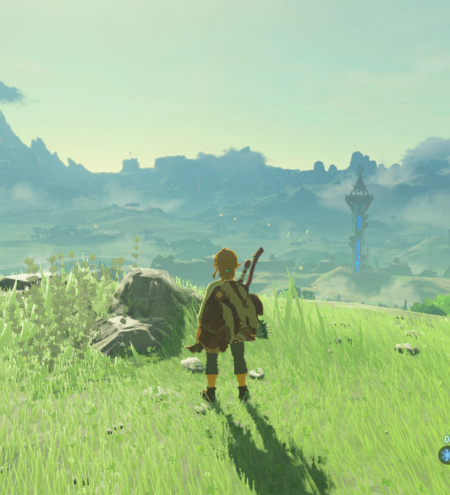 After all, Breath of the Wild was going to be called Zelda U after all. @belmont Digital is recommend 13 gigs. Disk is only 3 gigs recommend. The update I don't know. @SLIGEACH_EIRE We'll be covering it more, a full review is unlikely. We're talking about identical games content wise, so the focus will be on testing performance and sharing a view on how well it stacks up. As I say in the article, you can tell they've worked hard on this (as it was a Wii U only game for quite a while) so my impressions are positive so far. @SFR79 Interesting that the Switch version used up more GB's. Thanks for the first impressions! When you cover it more in detail, could you share a picture of how the GamePad looks while playing on TV (is it nothing more than a simple text bubble asking to touch to play on the GamePad)? Also, I'd appreciate it if you could test out the Pro controller as well and see if you'd recommend using the GamePad over the Pro controller (due to motion controls) or not. I'm getting the Switch version, but it's good to know that the differences are minimal for those who want to stick with the Wii U version. The deal breaker for me is that I'd be playing this game mostly off-TV, and the Wii U GamePad display is blurry and faded. @ThomasBW84 That's grand thanks. There's no real need anyway. Already have the Switch version but it seems like this version is completely viable for those wanting to purchase a Switch later. True although the last set of images has me surprised in just how dull the Wii U version's grass is compared to the Switch version's. 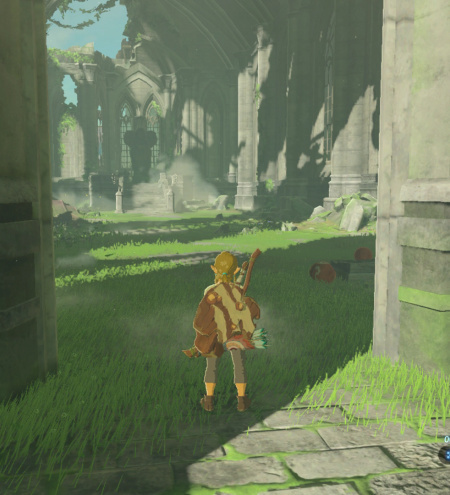 Is it because of a time of day difference, or is the color really that much better on Switch? I looked closer at the time of day, and saw it was different between the two pictures after all. 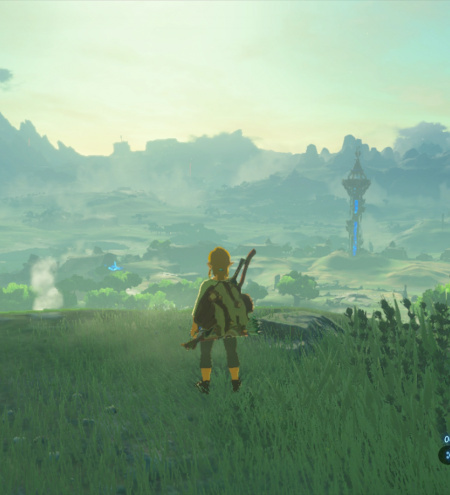 Plus, the Wii U version's weather was cloudy while the Switch version's weather was sunny. So that's probably the reason for the duller-looking grass. @smm1 I was distracted when aiming for the exact same time of day and so there was a 1 hour discrepancy, apologies. In general the whole Wii U image is 'softer', less sharp and defined. But it's not a huge gulf, as the screens show, and looked at primarily as a Wii U game it's doing well. @smm116 I'll try out the Pro Controller for sure. As for the GamePad, obviously it has the motion controls for aiming the bow like on Switch, for example, so that's cool. The GamePad screen simply has a bit of stylised text saying tap to switch screens. I'll play a bit on the GamePad over the weekend to see what it's like but I was capturing footage and screens, so was using the TV. But yeah, you tap and the image shifts to the screen, that's it! Okay that's a relief, I was worried they would mirror the screen even when not using the GamePad, so that the GamePad battery would die. Thanks! I bought the Wii U version and have just played through the first four mini dungeons on the plateau and am loving it. There's some frame rate gitters but this is not Watch_dogs. Perfectly playable, the difference probably isn't noticeable unless you have the two systems side-by-side. There's still life in the old Wii U, will be a while till I get the switch, waiting for this first wave of remakes to pass. @r1chard Same here. Going to start my playthrough tonight. 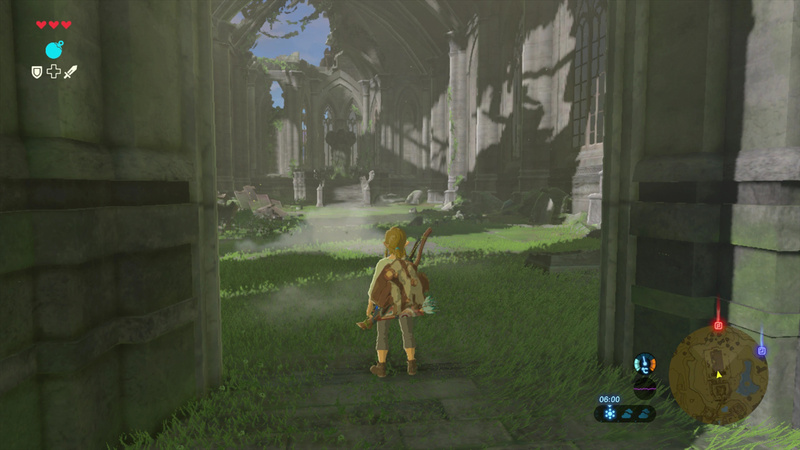 I'm perfectly happy with the Zelda art style and atmosphere they create in their titles. That Switch purchase may wait a long time now. Wii U version looks darker, Switch version looks brighter. I'd be down for it if the reason I don't have a Switch yet wasn't lack of money in the first place. It's not a cheap game and I don't feel like buying this game on disc because of how bad load times are on Wii U in disc based games (I know it installs 3GB onto the system's internal memory but I still expect it to load really slow). So i'd rather save the money I'd be putting on a Wii U version to wait until I've got enough for a Switch and a physical copy of this game, the latter of which I'd be getting eventually anyway so as to not be stuck with the slightly inferior version down the line. Now if only people playing it would stop spoiling those who still have to wait... browsing the web has been painful all day long. I played it for an hour or so on Wii u earlier and I could feel it drawing me in. I can't compare with the Switch version but the visuals looked fantastic to me and the game controlled perfect. If I was to say something negative I would say I thought the colours lacked definition at times, especially the grass. The frame rate drop is there but it's not a serious issue. It's not ruining the game. The Wii u is being pushed. It's well able to handle it. I'd say Nintendo would prefer if BOTW was only available on Switch. It's amazing to see again a game that pushes a console hardware to its limits. I haven't noticed any loading issues. It all seemed quite seemless. I found that using motion for aiming made a huge difference. It was quite hard to hit the target with the bow while aiming with only tje right analog. Loading times are not that bad on the disc version. I've played for 3 hours and never had a loading screen last more than 20 seconds. Looks way better on the Switch, that said, to think that the team behind the game, was able to craft such a masterpiece, in a very dated console, is beyond impressive. Raw power means very little to the talent that exists in Nintendo headquarters. Those graphics are noticeable but not a deal breaker. I'm content with the switch version. Just played about four hours. I need to go for a jog or something. I know I'm going to be spending so many hours with it. I'm going to neglect my body and my body is ready. Textures are superior on the NS version, no surprise, but still only 900p... The 1080p experience will be relegated to Cemu, it seems. Basically you'd be a fool to upgrade to Switch for Zelda. If you never owned a Wii U, sure take the plunge. But to buy a Switch, as a Wii U owner, just for Zelda? Well, you have impulse buy issues and will undoubtedly regret your purchase later. Probably right after you repurchase MK8. @shadow-wolf I'm lovin it with the pro controller. @Anti-Matter That's actually due to the time of day and weather differences, . 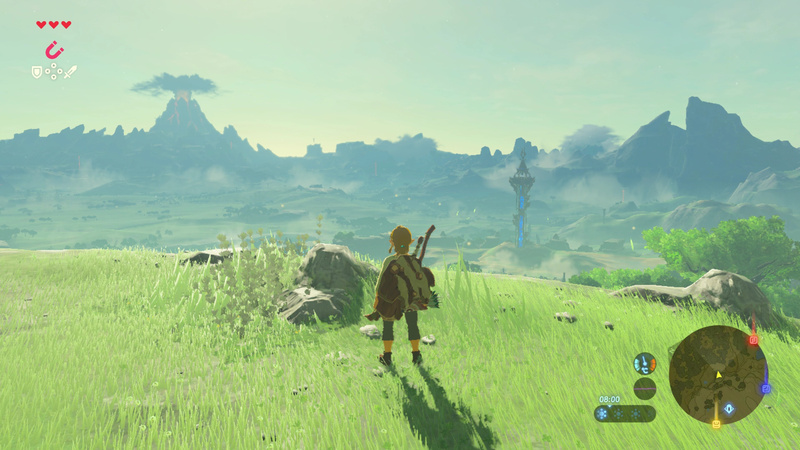 In the Wii U version the weather is cloudy while in the Switch version it is sunny. @LiberatedAnimal do you feel aiming with weapons like the bow is harder without motion controls? @PlywoodStick yeah my Wii U version just finished downloading. Putting the kiddo to bed and starting my adventure! Been waiting for this game ever since I first saw the E3 2011 Zelda U demo. BotW is Wii U. Go Wii U! Still love that little guy even though he's been replaced by my glorious Switch. Went and got it at midnight last night, started playing at about 9am and here we are at 9pm... where did the time go? 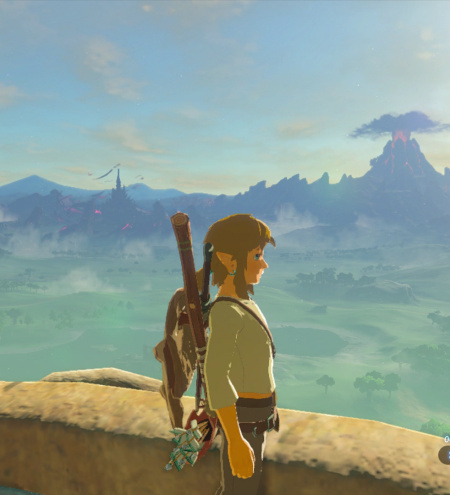 I have been playing the Wii U version of Breath of the Wild all day today and while I can't compare it to the Switch version as I don't own one I can definitely say that the game is perfectly enjoyable in its own right on the Wii U. How they fit a game of this scope on the Wii U with its technical limitations is beyond me, Nintendo really are the masters of their hardware! @Anti-Matter In addition to weather as shadow-wolf mentioned, 'fluffy' clouds do cast shadows even on sunny days. I think thats what you see in the 3rd screenshot. It's hard to get identical screenshots. The only thing I don't like is the flashing message on the gamepad. It's distracting. They should have an option just to turn the second screen off if it can't be used for anything. When playing so far, did you feel motion controls are vital to using weapons like the bow? I found a clearance on Pro controllers so I'm debating whether to get one to enjoy this game, but if motion controls noticeably help with aiming weapons I may just stick to the GamePad instead. @shadow-wolf Actually I played almost exclusively with the pro controller today but I did play an hour or so with the gamepad and I think that is going to be my preferred method of playing. The gyro controls make it that much easier to score headshots on enemies. Are they vital? Heck no as the game controls very well without them but they do allow you to aim more quickly, kind of like with Splatoon. A pro controller works just fine with the game. @PlywoodStick From what I've seen, the final builds on both consoles look practically identical, apart from some resolution and RGB details. The lighting in some instances is changed from the E3 build, but I don't know what you're talking about with the bloom on Switch! I think that the E3 and Final builds look the same most of the time. It's Twilight Princess all over again. Too bad Wii couldn't offer a better experience than GC at the time, the lack of free camera and forced motion controls for sword and shield were atrocious changes. It felt like a watered down port. @SLIGEACH_EIRE no, so go buy a Switch. I love that the Wiiu is still relevant to people,after they wanted it to die for the past 2 years. God what a piece of crap console. @shadow-wolf The gamepad screen just shows a bit of text and it fades in and out when playing on the tv so it gives a pretty good boost to battery life, and the motion controls are very nice to have also. The framerate in Kakariko is unacceptably bad. Shouldn't be a problem in a specific area like that. They could've optimised more. Fine on most of the world map though. @Wallkick03 Honestly, I think the visual/performance disparities between the two are almost indiscernible. The Switch version's only real advantage is a more stable frame rate, which I personally don't care that much about with this sort of game. And in some ways, as crazy as it sounds, I like how the Wii U version looks more than the Switch version. But that's just me. @Dezzy Really? I just played that part and didn't notice it, but maybe I was just distracted by the tasks I was focused on. Can someone tell if frame drops are same or worse then frame drops in Zelda Wind Waker HD when cannon shots on your boat from fortress on open sea?! @TwilightOniAngel That seems like an unnecessarily bitter/jerkish attitude. Why should it bother you that people want to get use out of a console they paid good money for, and that Nintendo has produced some excellent games for even after it became evident it was a commercial failure? Most people that own Wii U's would dispute that it's a "piece of crap". It's well-suited to the types of games Nintendo typically creates, and it's remarkably reliable. And as someone who owns multiple current gaming machines and has owned just about every major gaming system released in the last 20-30 years, including some pretty decent gaming PC's, Wii U has given me more fun gaming experiences than the bulk of the other systems I've owned. The fact that no one knew the thing existed or cared to buy it doesn't diminish that, or render it a piece of crap. Amazon have been cancelling Wii U preorders due to a lack of stock. This is GameCube Twilight Princess all over again in that it will be worth what you paid for it in 2-3 years time. The Switch version will be a tenner 2nd hand by then. My only bummer with the WiiU version so far is the complete lack of game pad functionality. I've gotten so used to gazing down at a map it's surprisingly it's not there! Cell shaded graphics looks like garbage. Will they ever release a good loooking Zelda game... probably not. @Dysnomia I've no need for that thing. I've the game bought for Wii U. Just waiting on Amazon to sort themselves out. A lot of people are having trouble with their orders. Yeah its a shame that the different time of day means the weather and lighting conditions make the WiiU screen shots look darker and less vibrant. I'm willing to bet that in an "apples for apples" contest teh colours would be nearly exactly the same. The difference between ten bit and 8 bit colour depths would not be noticable on this game considering the purposely limited pallet for the cell shaded toon effect. The only real differences will be resolution (720p vs 900p I think?) and occassional frame dips. I can handle that. My biggest concern would be that features or areas would be gimped from the WiiU version, but if Thomas says the content is identical I trust that. As others have said, as a WiiU owner I'm more than happy to play this as a swan song for the system and wait for the "real" exclusive Switch games developed for the system from the ground up. @Aneira The graphics aren't garbage. The game looks gorgeous. But it is true that they use the style to substitute for their weak hardware. They couldn't run this game with a realistic style, well not in the large scope that this style affords. Mannnnnnnn, the line up in the stores where crazy! First impressions: Holy expletive!! I'm immensely enjoying the Wii U version. For the person above who said the graphics are garbage, are you kidding me? This is like playing a gorgeous painting come to life! I don't own Switch, but I also bought the Special Edition anyway because I wanted all the goodies - soundtrack, map, case, gotta have it!! Waiting for all the BotW Amiibos to ship too. I think I spent over $300 in amiibo pre-orders and on the games themselves, plus the DLC. 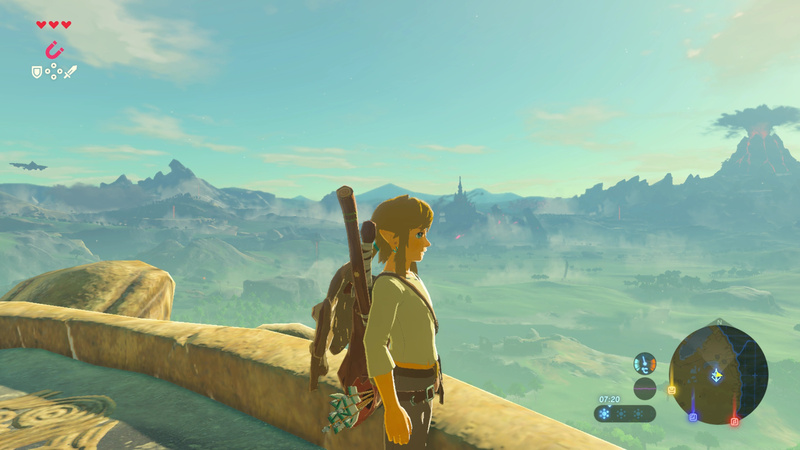 Hitting up the third shrine now, had to figure out a way to climb up a mountain, but so satisfying when I did! Yes, frame rate drops - especially when using the magnet ability, but not a deal breaker at all. Motion controls also work very well. Exactly. And I just think it's a shame that we'll never get to experience a Zelda game with state of the art graphics. It could be something special. I played my Wii U copy for a few hours last night. I must say I was not blown away by the visuals as I thought I would be. On my 40" TV there are noticeable jaggies. I've noticed frame rate dips too, but not enough to stop me enjoying the game. The art style is lovely, but this does look very much like a last gen game straight out of the box, and this is from someone who doesn't own a PS4 or XB1 and has only seen YouTube videos of those consoles. If it released a couple of years ago I don't think I'd have noticed it as much. It doesn't sound like the Switch version of the game is much better, which does make me worried for its long term viability. When you see games like Horizon Zero Dawn, technically the PS4 is light years ahead. Just imagine what Nintendo could have done with this art style with that sort of power behind them? I guess we'll find out in about 2022. @shadow-wolf Motion controls work very similar to Wind Waker HD. Shooting a bow, It should be noted that in this game, Bows do not have Z-Lock auto-aim. They also arc like a real-world bow instead of shooting in a perfect straight line. Magnesis and Cryosis runes also make good use of motion controls. Finally simply setting a pin (waypoint marker) on your sheikah slate makes great use of motion as well. You just aim at a distant point that looks interesting and hit a button. I'm actually surprised how well the game filters exactly what I want to target. I have yet to place a pin in the wrong place. In short, yes I think motion controls are crucial. My Wii U version is on its way, (thanks Gameseek), I'm hoping it arrives today as I'm off this wkend and I can get stuck in tonight. Have fun everyone! @r1chard Well said. Wii U version plays fine to me (digital version), I couldn't play much since I had to work but will definitely check out more like Off TV Play. Reading the comments, it's good to see some love for the Wii u. I felt Wii u owners were being ignored and it was all about the Switch port. BOTW is an Wii u game. There's life in the old girl yet. I lost an order of 2 PS3 games from Game seek last week. They're "looking into" giving me a refund. Never again. I had to put a claim in with Amazon pay. Edit:. I'd like to say Gameseek have since got the games to me. Any problems they were caused by the post between Ireland and the UK and not Gameseek. It seems loading times are really snappy when the game updates are installed to system memory. They're acceptable on external as well, but making place for them on the console is definitely worth it. Having played the Wii U version all week I can safely say it's outstanding. I will not be upgrading anytime soon. Nintendolife are paid to pretend the Switch version is better. The Wii U edition runs better than Switch in docked mode. Fact. Nintendo sure saved the best Wii U game for last! @GravyThief It's swings and roundabouts at the end of the day. We all know the Wii U/Switch are Xbox 360 level in terms of graphical ability. 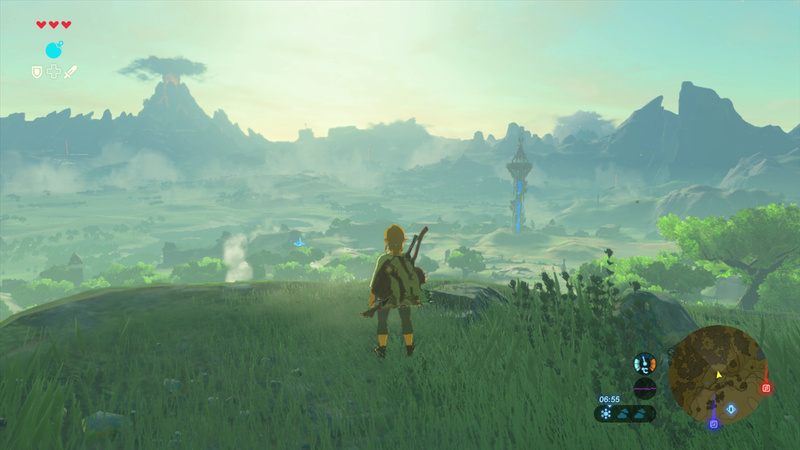 Zelda in my opinion looks stunning in a different way to the many times more powerful systems. I'm playing this on Wii U on a 60" Pioneer KRP600 and it looks incredible, even in 720P! Did you know the best version of Zelda is in portable mode? In console mode the frame-rate tanks to 20fps when your just running about, also there are basically no difference graphics wise between console & portable mode. Frame-rate wise while frames do drop in portable mode, its no where as bad as in console mode. Hopefully Nintendo patches it and these tests where done on the latest version, obviously by Digital Foundry. @GravyThief Or, we will find out when Cemu eventually allows 60 FPS on the Wii U version... Possibly even an improved texture pack and 1080p/4K patch ala Twilight Princess HD in the future. @GravyThief I don't think anyone's looking back at Ocarina of Time and thinking "shucks, if only this game had been released on the most powerful system of the day, it would still be viable today." Conversely, as good as Horizon is, I think you will be hard pressed to find anyone who actually cares about it in ten years, or who considers it somehow more "viable" than Breath of the Wild because of its photo-realistic textures. Or for any other reason, in my opinion. Let me just get this out if the way. Its the best game ibe ever played, supplanting Twilight Princess, which supplanted Ocarina of Time (yep, i love Zelda). But this IS a Wii U game, not a switch game. It looks incredible regardless of which version you play. The little touchs and details are LEAGUES ahead of anything you will see on any system, regardless of technical prowess. 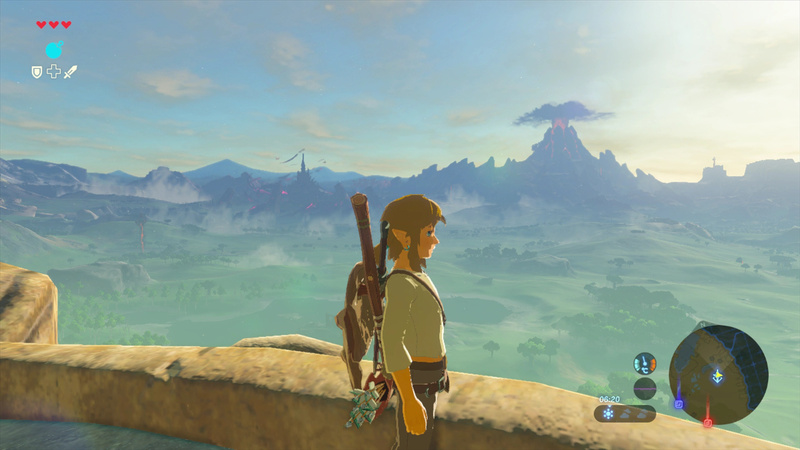 In short, it is my opinion that if you consider yourself a gamer then Breath of the Wild is a mandatory purchase. @liveswired That's not true, actually. Wii U isn't as "powerful" as Xbox One, but it is measurably more so than the 360. It has four times the ram, for example, and its gpgpu actually allows for some fairly advanced techniques like tessellation and directx 11-equivalent features. Then again, from a price perspective, having a weak CPU was the trade off for having the GamePad. (Of which draws additional system resources...) The result is most devs never bothered making their games look any better than XB360 titles. It's worth keeping in mind that Final Fantasy 13 can run on the XB360... How often did we see that level of effort put into Wii U titles, outside of Nintendo? Its amazing how many people base their fun around specs and numbers. After playing around on the plateau for an hour, those frowns turned into large smiles. Once you adjust to the game, the visuals seem to improve. The game actually looks pretty good despite being in 720p. The art style is actually outstanding. But more importantly, the gameplay, world, lore, story and everything else is a dream come true. I have to work today, and all I am going to think about all day is how badly I want to go home and lose myself in this amazing immersive world. The feeling I got from this game is something I haven't felt since Super Mario 64. @BAN "Conversely, as good as Horizon is, I think you will be hard pressed to find anyone who actually cares about it in ten years, or who considers it somehow more "viable" than Breath of the Wild because of its photo-realistic textures. Or for any other reason, in my opinion." I don't even care about it now. @subpopz sad state of affairs, isn't it. I played Wii U version for comparison. Biggest thing that jumped out to me was the jaggies, since it's only running 720p. Other differences as well but it didn't look as sharp and crisp. If you can't afford a new console there's no reason to fret because you can play the game still. It's not quite as good but it's the same game. But Im so glad I don't have to play this on Wii U. Not only does the switch version look better but taking it out of the dock in playing it is more amazing than I had ever dreamed. I'll be taking it to work with me starting next week and playing every single day until Mario Kart 8 Deluxe. I like how the screen shots side by side of Wii U vs Switch look have different shading which looks misleading. Then again, this is the same site I have bee visiting for years that remove comments when contradicting mistakes in reviews and information, as if the games haven't even been played. Very unprofessional. I'm totally loving this game and don't regret for a second getting it on wii u and holding off on getting the Switch. Load times aren't at all an issue with the disc version imo. @SLIGEACH_EIRE @Aneira I kind of have to agree about the graphics. I do think it looks beautiful, but I find it a little hard on the eyes after playing for a while, and would have preferred sharper more realistic visuals. The game is still amazing though. @ThomasBW84 how about putting a little add on to the Switch review pointing out the Wii U versions differences and giving it a score? @Mart1ndo sorry to hear that, I was out getting my Wedding Suit this morning & my copy of Breath of the Wild was there when I got home, I've got a few things from them and never had a problem, personally. Toon shader graphics is a lazy way of not making actual detailed textures for the 3D models. Plus it takes GPU power to constantly render the toon shading. Please Nintendo, make a better looking Zelda! Man, that's pretty harsh. My opinion is this: I plan on getting a Switch in the near future anyway, so why not get it sooner and have the superior version of Zelda? Besides that, I would really like to be able to take the game on the go, so the Switch version is pretty much a must. I might be more swayed with going for the Wii U version if they had kept the inventory and map on the bottom screen. But since it is essentially identical to the Switch version, there's no reason to get it instead. @Dpishere Thanks! I am thinking of sticking with the GamePad then since I value the easier aiming with the gyro. @tedko Okay thanks for letting me know! That's a relief it doesn't just mirror the TV. @Alshain01 Based on what you said, it does sound like motion controls would be very useful in the game, and streamline control. I'll stick to the GamePad then. Thank you for letting me know! I think the problem is the post between UK and Ireland. This is the 3rd time I've had an issue in about 14 months. Hey congratulations on your wedding. I wish you all the best. @shadow-wolf Good choice. 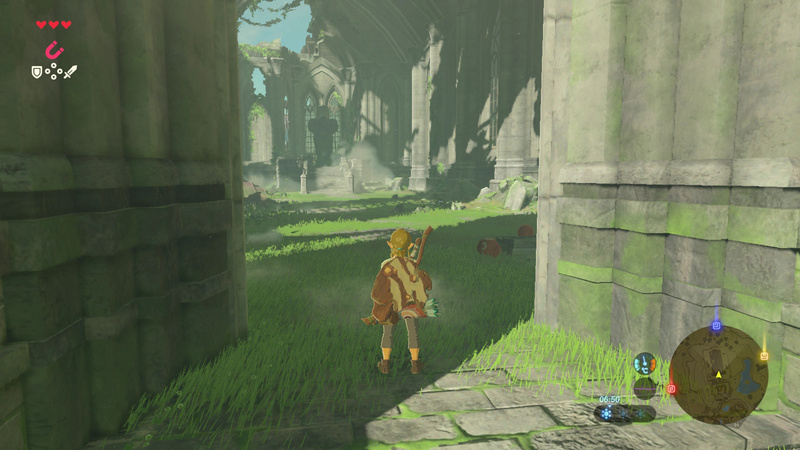 I don't think this is a spoiler cause anyone would recognize it the moment they entered, but I ran across a shrine today that was basically one of those marble mazes where you tip the maze to move the marble through it. That was another crucial motion controller support. I love the weather in this game. Not just that it exists but how the NPC actions and dialog change when it rains. So much attention to detail. I opted for the Wii U version rather than buying a Switch and the game, partly because I'd been waiting to play this game pretty much the entire time I owned a Wii U (before we even knew what it was called, past Zelda Wii U) and partly because there was nothing else in the Switch line-up that was of interest to me until Mario Oddysey is out. And not having the two systems running side by side, I have to say I'm VERY impressed with the Wii U's performance! There's been some lighting effects with the sun at certain times of day where I've just stopped to look around. I did notice my first odd stutter last night when I was playing, but these are very infrequent and barely noticeable. I wouldn't profess to being able to notice framerate drops like some people, but I haven't seen anything that posed a problem. Even playing on the Gamepad feels comfortable, if a little more washed out imagewise, but still an amazing looking game. When I heard the Game Pad wasn't being used I thougt they may have just mirrored the tv screen, which I find VERY distracting, but glad it has nothing but an icon to touch yo pkay on the Hame Pad. This seems to make the battery last a LOT longer! I like in Navan, Co Meath. Playing the Wii U digital version. Gotta say it looks better than I thought it would. The only issue I'm having are occasional frame rate drops. Maybe they can improve this with a patch but who knows. Anyone else experiencing this? @shadow-wolf No not really. The sticks actually work better for aiming than they ever have before. Hitting targets in this game with the bow is not a chore at all unless it's long distance you're going for. @Alexmo I'm sure there will be a patch or 2 or 3 for framerate and other loading time buffs. It's remarkably solid for an open world game at launch. It'll be rock solid soon. @RadioHedgeFund Surely the Sheikah slate and warp points were made for that touch screen on the gamepad?! As much as I love both games, it's slightly odd to see that Monolith nailed what is (in my opinion) a stunning and vast open world on Wii U better than the big N.
@mid_55 I can't argue with the gorgeousness of Mira. I wish they'd remake XC1 but with the XCX graphics. My boys both have BOTW on their Switches and I am playing it on the Wii U. I've looked over their shoulder and the graphics are smoother, but I can't say I feel jilted because I am playing it on the Wii U. I have had no technical issues whatsoever. The game is just flat out amazing, to quote a kind bearded man from the old country (on Youtube) it is a true "honor" to be able to play this game. Thank you Nintendo! 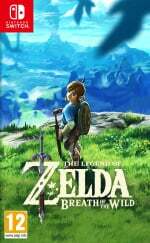 If you have a Wii U and are not up for getting the Switch at this time, get BOTW for the Wii U. You will not be disappointed in the least. I promise (IMHO).